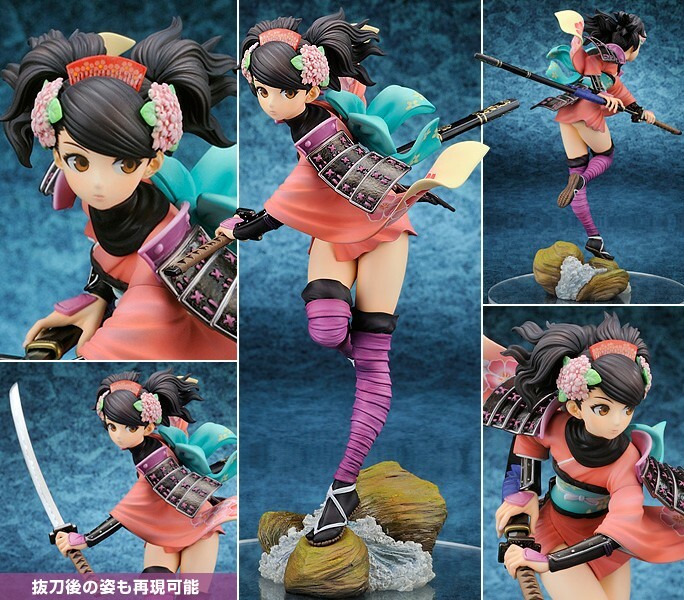 Preorders have started for Alter’s Momohime. I think she looks even better in the official photos than she did at Wonder Festival, last month. It looks like she’ll have a switchable forearm in case you want to display the sword unsheathed. I’m planning to pick up Momohime even though the budget’s getting pretty tight. I don’t have any particular attachment to Muramasa: The Demon Blade, but this figure looks too good to pass up. GSC’s new Mikoto figure looks rather mundane next to some of the other figures they’ve pushed out recently. As such, she’s probably going to appeal primarily to fans of the To Aru series. I haven’t see either show, but they look like something I’d like to watch eventually. I do find it interesting that GSC tucked shorts under Mikoto’s skirt rather than the typical pantsu. I imagine this it some kind of nod to her character design rather than a concerted effort to be different, but it’s nice to see all the same. Also, the clear base shown in the preview shows is probably a good indication this this figure won’t be getting the fancy base treatment GSC has been doing of late. PS: Somebody needs to hurry up and license this show! 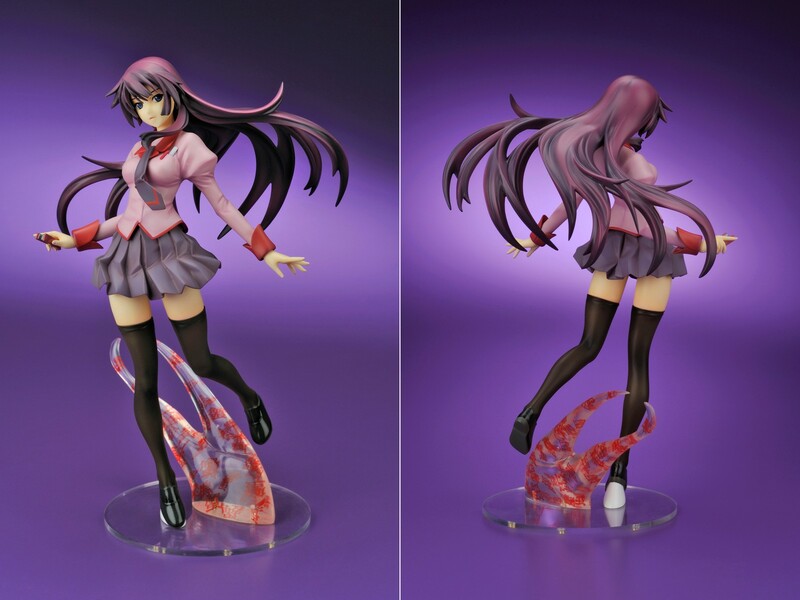 This entry was posted in Figures, Previews and tagged 1/8 scale, Alter, Bakemonogatari, Good Smile Company, Kotobukiya, Misaka Mikoto, Momohime, Muramasa: The Demon Blade, PVC, Senjōgahara Hitagi, To Aru Kagaku no Railgun. Bookmark the permalink.